Zero Penne is perfect for anyone wanting to lower their carb intake without restricting their meal choices. Made from glucomannan it’s the diet-friendly way to make meals you enjoy without undoing your training progress. Unlike regular pasta, Zero Penne is sugar-free and fat-free, making it a great, healthy alternative to make part of your diet. It’s also a great source of fibre, and at only 7 calories per serving, it’s a tasty treat you don’t have to feel guilty about. 1. Glucomannan in the context of an energy-restricted diet contributes to weight-loss (the beneficial effect is obtained with a daily intake of 3g of glucomannan in three doses of 1g each, together with 1-2 glasses of water, before meals). When to enjoy Zero Penne? Simple and easy to whip up — all you need to do is rinse it under cold water, then cook for a minute in the microwave or 2-3 minutes in a pan. Add to your favourite sauce, salad, or stir-fry for a deliciously filling meal. What to enjoy Zero Penne with? 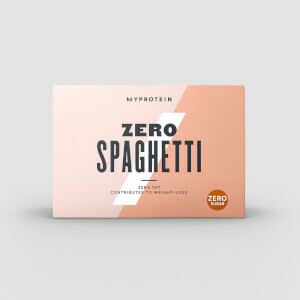 For another great mealtime alternative, try our Zero Noodles — the perfect low-calorie alternative to regular noodles, with zero sugar, less than 0.1g of fat, and made from glucomannan. So this is more a noodle than a pasta. I've done some research on the ingredients, and now understand more why it looks the way it does and how it works. I guess it shouldn't really have a picture of Penne on the front as its more a pasta substitute. I'm in prep, so calorie wise its great for me and it does make you feel full. I had mine with salad and turkey breast. And because of the low calories, could afford to put Sainsbury's Taste the Difference Ceaser dressing on it without worrying too much. I'd say its great if you want to lose weight, feel full and can overlook the blandness. The thin noodle versions of this are usually put in thai food and especially in soups. I don't think this is for me unfortunately, but I'd always advise to give it a go taking on board the comments and recommendations of use. When this turned up and I looked at the packet and thought this does not look good at all! And it does not even look like pasta but still thought I’d give it a go, so I did a jacket potato with prawns and salad and used it to bulk it up more. To my surprise I quite enjoyed it although it doesn’t taste of anything but it was quite satisfying and I was not still hungry like I normally am! With a nice sauce it is definitely a good pasta substitute. I will be getting more. I’ve used this in a Cajun sauce by using half fusilli and half of this. I would definately recommend it to reduce carb intake! 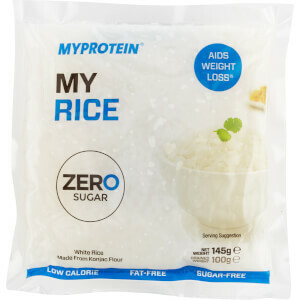 Not sure if I would eat it on it’s own with just a basic sauce and it is very plain and has a bit of a strange texture (felt a bit like squid) I’m very fussy and can’t eat certain foods because of the texture and I actually enjoyed this! Whenever I try a product like this I'm very open minded, it's too easy for people to look down at something in disgust - 'What do you mean fat free cheese doesn't taste like full fat cheese?!?' - at the end of the day it's zero calorie 'pasta', an alternative to an extremely carb dense food, so as I say, open minded. Firstly, it absolutely is not the shape of penne whatsoever, at first feeling it through the packet it felt like it had been smashed up and broken into little pieces, in a way that is true, because each piece is more like a length ways slice of an actual tube of penne (in short, there is no hole), this was consistent throughout so I determined this is indeed how it is supposed to look. Secondly, the cooking time is very much up for debate, I have a couple more packets which I will cook most likely for twice the amount of time that is recommended in the instructions as this first batch was not to the consistency I was expecting. I expected chewiness, which I got, but there was something else I cannot describe which I can only hope changes with me altering the cooking time. There's next to no taste, so in that sense it's a very good pasta replacement if you are an able sauce maker. Overall I would say it's neither bad nor good, can't imagine I will buy it again unless I'm in the deep end of a cut as it would make do for a no carb meal, but it isn't especially desirable, the main issue I take with it is how far away from penne it actually is. If you are in the real world when it comes to 'zero' foods, you'll probably have a similar view to me, which is that it does what it's there to do. Low fat cheese or tomato sauce, thickness and a generous serving of sauce is key. A very odd texture, that of squid, and it smells absolutely vile when you open the packet. Odd flavour so you need a strong sauce/accompaniment.